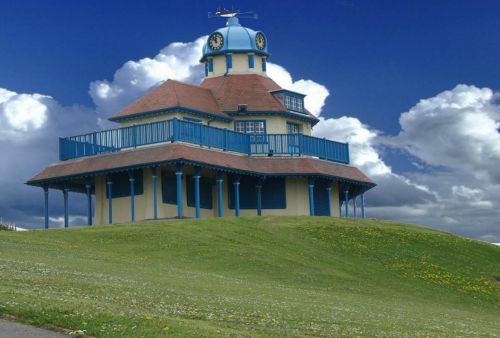 LeftCoast is continuing to develop its pop up programme of arts activity at the Mount Pavilion in Fleetwood and boy have we got a bumper summer in store for you. Three weeks of mini artist residencies for families and children will be running in the space for three weeks and no booking is required. Capture the Mount and come and have some high sea adventures with artist Sarah Hicks to make a pirate ship, a sword and a hat all out of cardboard and other found materials. Materials will be provided but if you want to bring a box then add it to the pile. The Pirate Ship will grow and grow over the course of the 3 days so keep coming back to see how it’s doing. Back after popular demand, Raspberry Pi returns to the Mount with Les Pounder. For those you haven’t heard of Raspberry Pi, it’s a computer that cost less than £30 but with it you can build a robot/make music/hack Minecraft and so much more. Les will lead you through a series of fun challenges and hacks with the ultimate goal of showing how fun learning can be. Join Actor and drama practitioner David Hirst from Creative, Arts and Futures for 3 days of Drama workshops. Explore characters, improvisation as well as meet friends and have fun. We’re on the hunt for members of the local community who would like to help shape what kind of creative activities take place at The Mount Pavilion. With your help we aim to develop a rich and varied programme suitable for a variety of ages and backgrounds from art workshops to film screenings, artist residencies to performances and everything in between- nothing is off the table. Whether you are a parent, artist or just someone looking for something to do we want to hear from you. Contact Kerenza McClarnan on 01253477973 or email info@leftcoast.org.uk for more information on how to get involved. The first Shape the Space meeting will be held at The Mount Pavilion on the 30th July 5pm. CLICK HERE TO READ MORE ABOUT OUR WORK AT THE MOUNT PAVILION.